Lawman Wyatt Earp and outlaw Doc Holliday form an unlikely alliance and team up to rid Tombstone, Arizona of the murderous Clanton gang. 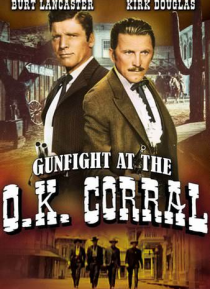 The confrontation culminates in their participation in the legendary Gunfight at the O.K. Corral.